If you’re working with a budget, Aberdeen flowers have a lovely selection of under £35 priced flowers. 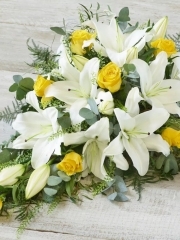 The under £35 flower range is suitable for any occasion ranging from birthdays to congratulatory events to anniversaries and any other event in between. 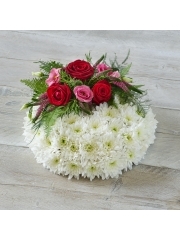 We at Aberdeen flowers aim to accommodate to all possible occasions as customer satisfaction is our number one priority. No matter what the price range, all of our arrangements and bouquets are of the highest standard, arranged of the best flowers. Everything we use from flowers to foliage has been imported all the way from Holland as this region of the Netherlands is renowned for cultivating some of the finest flowers in the world. We at Aberdeen flowers can wholeheartedly attest to this statement and with over four deliveries per week, our flowers are also the freshest. 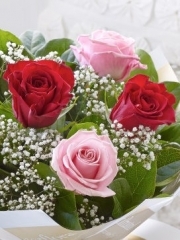 The freshness of a flower directly impacts the longevity of the flower so if they are fresh and of good quality, your recipient will be able to enjoy their flowers for many days to come. 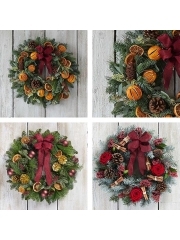 You are able to browse through our under £35 range online to see the sort of work the florists in Aberdeen are able to produce for you. If nothing fully catches your eye, you are able to either use the bespoke service or leave your order up to the florist’s choice. 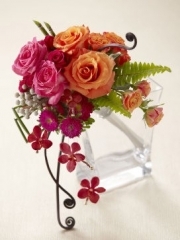 The florist’s choice allows you to leave everything up to the florist and this is particularly handy for those who aren’t too sure what they would like. 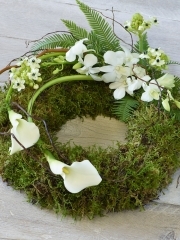 For the florist’s choice, all that is required is the price range and perhaps what the occasion is so we know what sort of aesthetic to incorporate into the design. No matter what it is you’re after, we will always do our absolute best to provide you with nothing short of perfection. In addition to providing gorgeous floral work for any occasion imaginable, we also have a gifts range on offer which is simply perfect for any and all occasion much like our flowers. The gifts range includes a selection of wines and champagnes all delectable in taste including the likes of red, white and rose sparkling wine. Both beverages are widely considered to be celebratory which makes them ideal for virtually any occasion so whether it’s for a toast at a wedding anniversary or a bottle of red to accompany a romantic dinner for two, these drinks are ideal. Then there are also chocolates and truffles available which are a lovely little gift for a loved one with a sweet tooth as well as fruit baskets. The Aberdeen florists arrange the fruit baskets on the day of the delivery and arrange the baskets themselves with fresh fruits. There are adorable teddy bears on offer in different colours which are a lovely gift for any occasion involving children as well as balloons. If requested, we can arrange a charming balloon bouquet for your occasion which typically consists of three blank balloons and three with a message fitting for your specific occasion such as ‘Happy Birthday’ or ‘Congratulations’. We hope these gifts can make your recipient feel that extra bit special and thought of on their special occasion as they further personalise your order. 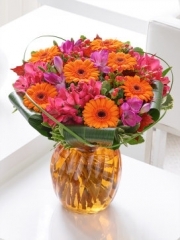 These gifts can be order as an accompaniment for the flowers or on their own. Once your order has been placed, Aberdeen flowers can even take care of the delivery for you so you don’t have to worry about a single thing. If you have any further queries, please do not hesitate to get in touch.